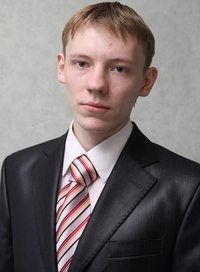 Ilja Valerievich Shikshin (Илья Валерьевич Шикшин, born May, 7th, 1990) is an EGF professional Go player, 1 dan pro in 2015, 2 dan pro in 2018, 3 dan pro in 2019 and 5-time European Champion. Shikshin is the younger brother of Russian professional Svetlana Shikshina. His nick on KGS is roln111 - 8 dan. Shikshin was born in Kazan, Russia. His trainer is father Valery Shikshin, who also taught Alexandre Dinerchtein 3p, Svetlana Shikshina 3p, Andrey Kulkov 7d, and Timur Dugin? 4d. Worked as a teacher on http://insei-league.com/ in 2009 and 2010. Shikshin is one of three winners in the 3rd Toyota & Denso European Go Oza. He has acquired the right to play in the International Toyota&Denso Championship in Tokyo. Shikshin is one of three winners in the 4rd Toyota &Denso European Go Oza. He has acquired the right to play in the International Toyota&Denso Championship in Tokyo. 3rd place in the European Championship in Leksand. He received the honorary title "Merited Master of Sports of Russia"